Tuning: Paul's Mercedes-Benz C43 AMG makes over 100hp! Tuning: Paul's Mercedes-Benz C43 AMG makes over +100hp! Base line power number's show the vehicle's power output at 300.8hp at the wheels giving us a good starting point. 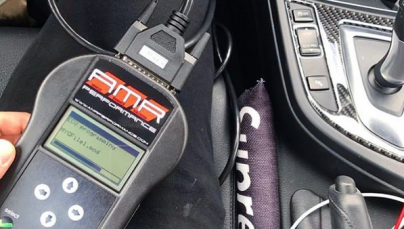 Our engineer's went ahead and programmed the vehicle with our AMR Performance C43 AMG ECU Software Upgrade giving the vehicle a +105hp and +125tq over stock! After seeing and feeling the results, Paul can agree the vehicle is quite the street beast! Home › Customer Cars › Sport › Tuning: Paul’s Mercedes-Benz C43 AMG makes over +100hp! Tuning: Paul’s Mercedes-Benz C43 AMG makes over +100hp! Paul’s 2017 Mercedes-Benz C43 AMG is very clean! Base line power number’s show the vehicle’s power output at 300.8hp at the wheels giving us a good starting point. Our engineer’s went ahead and programmed the vehicle with our AMR Performance C43 AMG ECU Software Upgrade giving the vehicle a +105hp and +125tq over stock! After seeing and feeling the results, Paul can agree the vehicle is quite the street beast! Sam's Mercedes-Benz C450 goes 12.2 at 118mph!